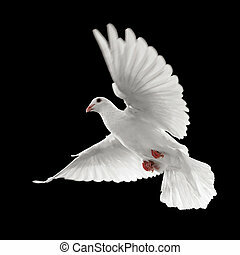 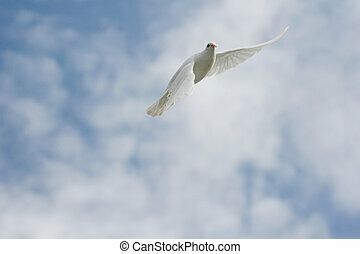 White dove in the sky. 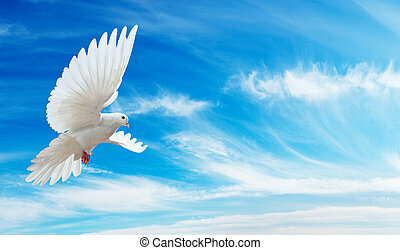 White dove flying on clear blue sky. 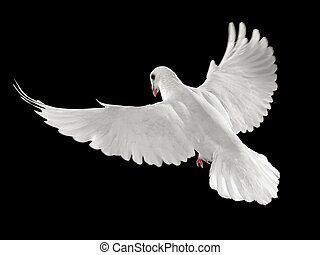 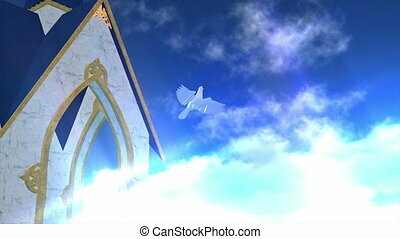 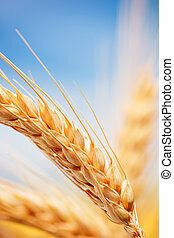 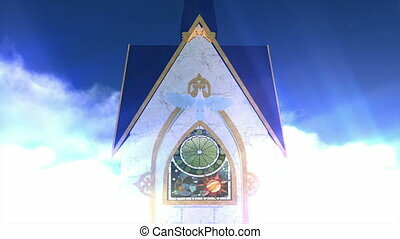 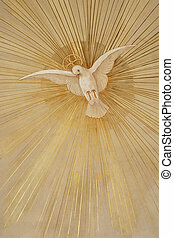 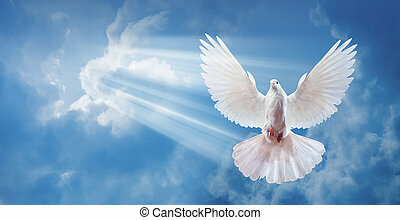 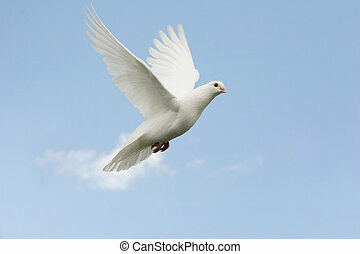 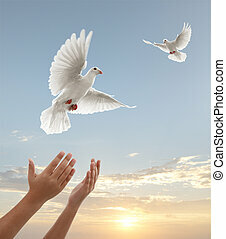 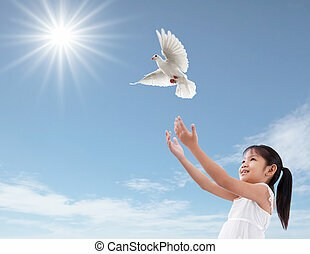 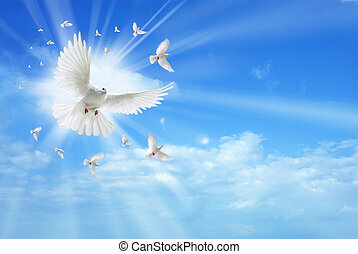 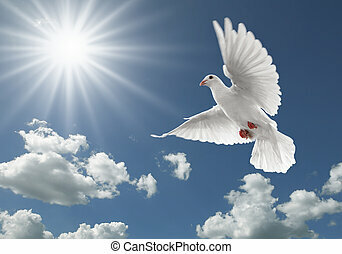 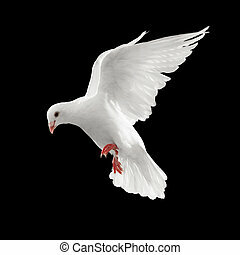 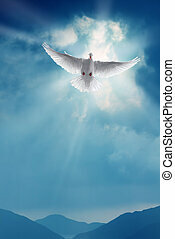 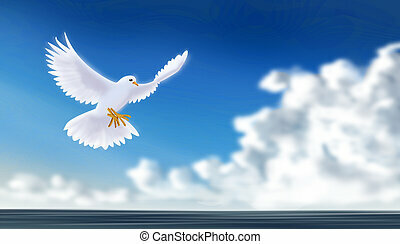 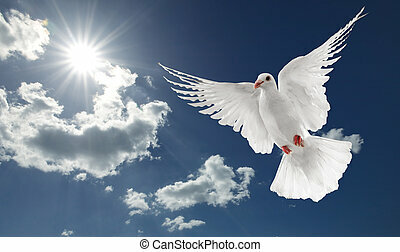 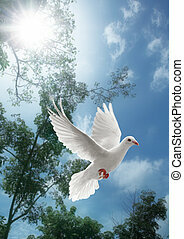 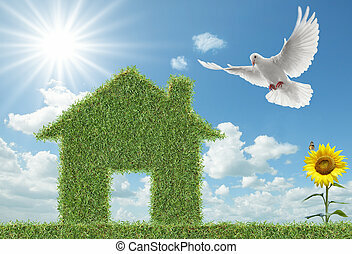 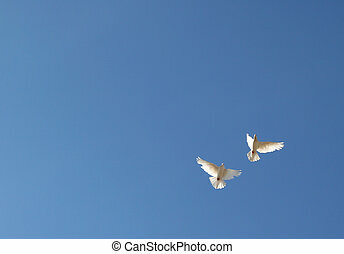 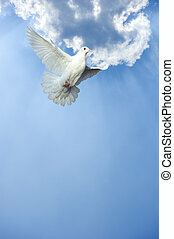 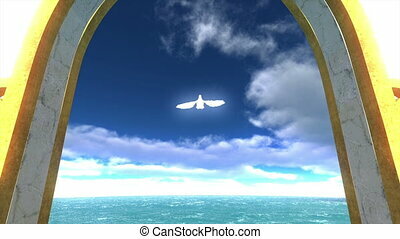 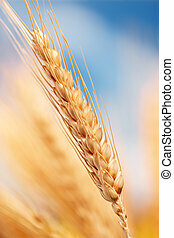 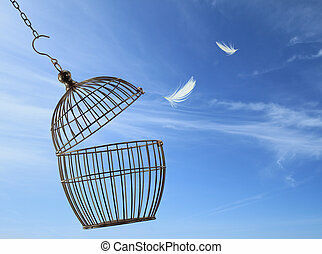 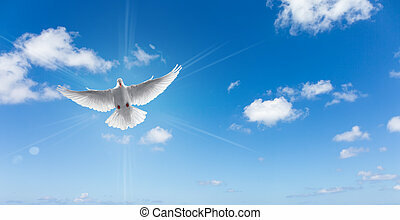 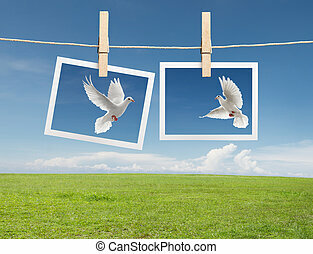 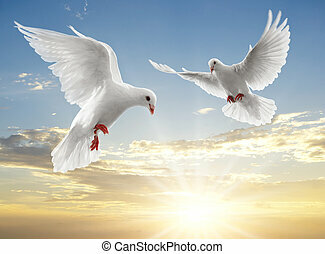 Dove, sign of peace, flying over blue sky.